Punctuality is the most valued virtue in our culture, in social life, but especially in the workplace. Be punctual professionally can refer to the delivery of a work or be present at the time required by the company to fulfill your tasks and describes you as a person and professional sense of responsibility, ordered and committed to the company and with the tasks you have been assigned. It makes you worthy of trust and be taken into consideration because if you are punctual and will be considered responsible for increasingly important tasks. Being punctual means respecting the time of others which is also important. It means respecting the time and the confidence that the company puts in you to do the job for which you were hired. That’s why from the moment you must prove you’re a serious person arriving and delivering always punctual. The first impression is the most important and it is the reason why you have to arrive to a job interview necessarily at least 10 minutes prior to entering the interview, show yourself relaxed and not agitated or in the rush to be on time. During the entire period of your stay in the business, it is essential that your word becomes your guarantee of punctuality. Your brand is professional punctuality and excuses have to be the less possible, used when in fact you had an accident and could not make it. Otherwise, your excuses will turn against you and you will be hard to get rid of the image of “the late worker” and liar, those labels do not help your career and make you lose the confidence gained from your superiors. If you find it hard to be on time to work or a meeting, it would be advisable that will organize in an agenda or use the organizer of your mobile which has the advantage of having an alarm so that you are aware of the time and never be late for an event important. It can also help you get everything ready the previous day before going to bed: the clothes, which go out for lunch, important papers, etc.. Do not stay awake for others watching TV or doing anything else that is not necessary because that takes away sleep and makes you hard to get up the next morning. Remember that a good rest helps you do your job correctly and not delay you in bed in the mornings. 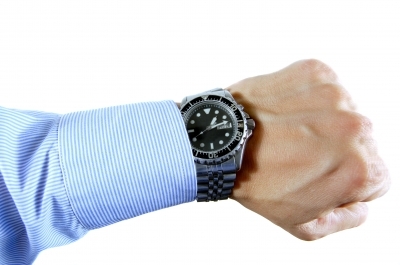 We hope these tips help you to be more punctual if you’re already not. A punctual and committed professional is always taken into account in a more important position, when permission for a commitment and makes you a more respected professional by giving you greater security and confidence to perform your job.